The Portuguese company will provide support as a reseller of added value to partners and clients in Spanish and Portuguese speaking countries in South America, North and in the Caribbean region. 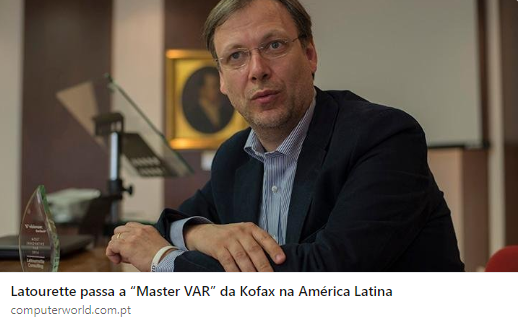 Latourrette Consulting has become the "Master VAR" of Kofax for Latin American countries, including those in the Caribbean, Portuguese and Spanish speaking countries. In a note sent to the channel, the manufacturer defines a series of resources and services to be made available by the Portuguese company. The roll includes the resale of software licenses and discount management in maintenance services, linked to the Kofax Associate and Gold partnership levels. It also includes sales support, price management, pre-sales resources, partner training, professional and technical services (24 hours over 7 days). The manufacturer presents Latourrette Consulting as a partner able to deal with the linguistic diversity of the region. And it commends you for the comprehensive range of certifications obtained from Kofax technology and business. "Last year, the two organizations collaborated in the transition of specialized technical and pre-sales resources with language skills in Spanish, Portuguese and English", the manufacturer said. Find the original version (in Portuguese) in ComputerWorld.